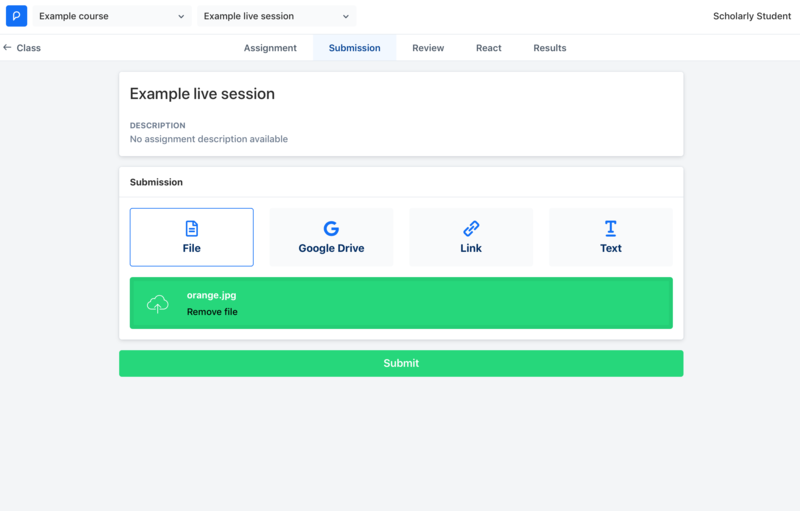 Live sessions in Peergrade give the teacher control over the flow of an assignment. From time to time your student may ask to revise their submission. 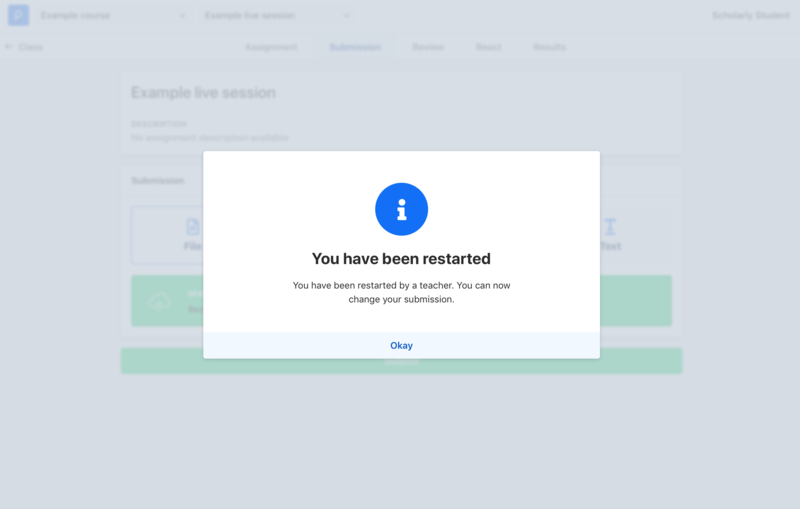 To allow the student to resubmit, they can be restarted through the Teacher live session page. 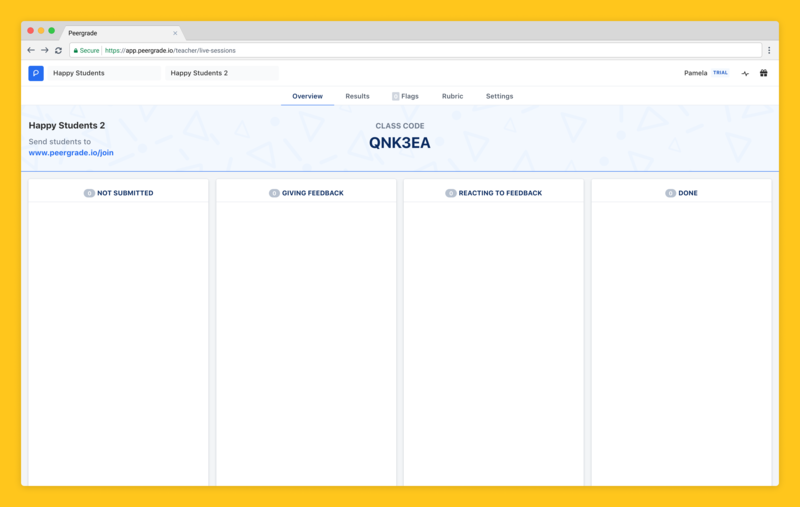 Note: When you restart a student it will reset all reviews for the student, too! From here, they will have the option to remove their current submission and submit a newer / different version of the file. They have to remove the old file first.